ICF, PIS/SIS, CRF and SUSAR, SAR, SAE Reports. Notes: Estimates of words translated are based on actual accounting records and do not include services billed hourly, such as transcription, editing, and proofreading. The experience bars above are based on one million words per field. This information is current as of December 2014. 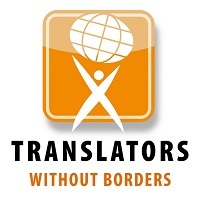 Full-time translator and operator of translation services vendor Cuenca Translations since 2005. Licensed User of MemoQ Translator Pro (MemoQ 2014 R2). 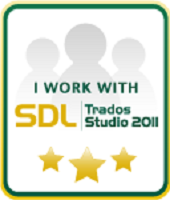 Licensed User of SDL Trados 2007/2009/2011. TESL certified English Teacher, passed CSET and CBEST testing for California public schools. Resident of South America working in a Spanish language environment since 2001. 2014 MemoQ Translator Pro: How to boost productivity and see the savings? 2014 MemoQ Translator Pro: How to translate files received from other translation tools? Note: Attendance of conferences and events can be verified upon request. This page last updated December 2016. My business model calls for prioritizing quality over quantity because I am aware that keeping my output within reasonable limits in order to maintain high quality standards ensures long-term relationships with my clients and simply makes good business sense. 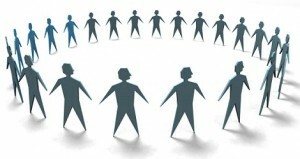 In fact, the vast majority of the work that I do today comes from repeat business and word-of-mouth recommendations. My commitment to conduct 3 draft of any translation that I accept does increase the amount of time that I invest in every project, but it also ensures that I am delivering translation work product to my clients that I can take pride in and is the key to maintaining a solid reputation in a competitive industry that is extremely unforgiving of mistakes. During the first draft I recreate the source text, formatting the translation to mirror the original if appropriate and conducting research and consulting project glossaries and/or references where necessary to ensure that I am using the appropriate subject-specific terminology. My second draft consists of reviewing my draft translation against the source file to verify that appropriate terminology has been used and that the translation is an accurate representation of the original source file in every respect. Finally, my third draft consists of a final proofread of the target text to ensure that the translation is properly phrased and is free from errors or omissions. I guarantee your complete satisfaction with the quality of my work. In the event that you are unsatisfied with your translation in any way, I commit to conduct further revisions and/or research at no additional charge until you or your end client are completely satisfied. Confidentiality note: Project Managers’ names are used here with permission. “I got some very positive feedback regarding your translations from my proofreader from our last project. No surprise there, however ;)” Contract Research Organization, September 20, 2013. “I just wanted to say you did a FANTASTIC job on these translations. One of our most detail-oriented reviewers looked it over with minimal adjustments. Thank you for your high-quality work!” Contract Research Organization, December 13, 2013. “Just wanted to give you a feedback on this project (1st batch)… As always, your translation is absolutely spot on. Great formatting, great translation, great quality and extreme professionalism. It’s a pleasure working with you.” Contract Research Organization, November 11, 2013. “Just wanted to reach out with some praise about this project. The translation is absolutely beautiful! I can tell that you have a keen eye for detail and, it does not go unnoticed at [CRO].” Contract Research Organization, January 14, 2014. I just wanted to let you know that I got some incredibly positive feedback from one of my most trusted linguists regarding the quality of your translation. His comment went as follows: “Fantastic legal translation from this person, makes it much easier going, pleasant and a good example to learn from.” Contract Research Organization, March 30, 2014. “I will definitely keep you in mind, as you’re one of my favorites to deal with (never mind the quality work you produce! )” Contract Research Organization, July 11, 2014. “You did incredibly well on this project, as usual, so thanks so much for all your hard work!” Contract Research Organization, October 16, 2014. “I wish you weren’t so busy with other clients, you’re one of our best translators!” elanguages, Inc., October 24, 2014. I am able to produce about 2,500 words (about 6-7 pages) of high quality, proofread translation per business day. Jobs with less than one business day available per 2,500 words or that require turnaround within 24 hours will be quoted at a rush rate. The technical nature of the subject matter in question determines how much additional time I will need to spend researching terminology during the translation process and is another major factor that I consider when calculating my rate. 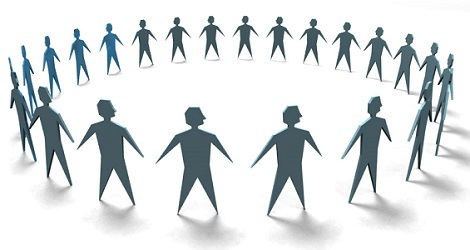 For example, I will quote a medical journal article or technical specifications for a power plant at a higher rate than I would a lease agreement, informed consent form, or other general text. Jobs over 20,000 words (about 50 pages) are considered high-volume and may be eligible for a volume rate, subject to time available and the technical requirements of the project at hand. Please note that I cannot offer a volume rate in combination with a repetition (Trados or MemoQ) discount. Any special circumstances that require me to spend additional time above and beyond traditional translation service, such as handwritten text, heavy formatting (forms, tables or data) partially illegible files, etc. will influence my rate for a given project. Please also note that I do charge separate service fees to cover notary public and DHL services should they be required. I use several Computer Assisted Translation (CAT) tools which allow me to store segments of translated text into translation memories for future reference. Not only does this improve consistency, but it allows me to increase my efficiency and to provide a discounted rate for repetitive text. For a definitive rate quote, please contact me with your source files and your project’s requirements.